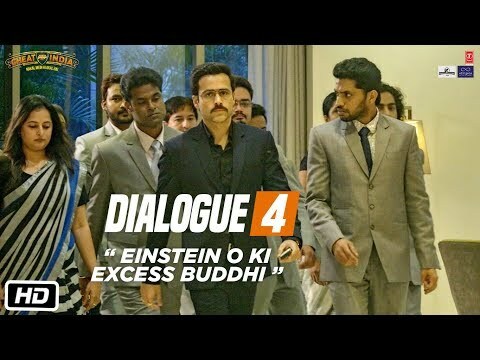 Presenting the dialogue promo 4 from the upcoming movie of 2019 "WHY CHEAT INDIA", The movie features Emraan Hashmi and Shreya Dhanwanthary in the lead roles. The upcoming movie is written and directed By Soumik Sen , Produced by Bhushan Kumar, Krishan Kumar,Tanuj Garg ,Atul Kasbekar & Parveen Hashmi. Co-Producers are Vinod Bhanushali, Sunny Khanna, Shanti Sivaram Maini, Swati Iyer Chawla, Piya Sawhney.